The new phone from Vivo is also centered around clicking better selfies. The phone is also expected to feature a Full View display with a notch. Vivo is all set to launch its new V9 smartphone in India on March 23. The company has already teased that the V9 will come with a notch and dual cameras at the back. However, we now have much clarity on what the phone offers and how it exactly looks, thanks to Vivo’s Thailand website. 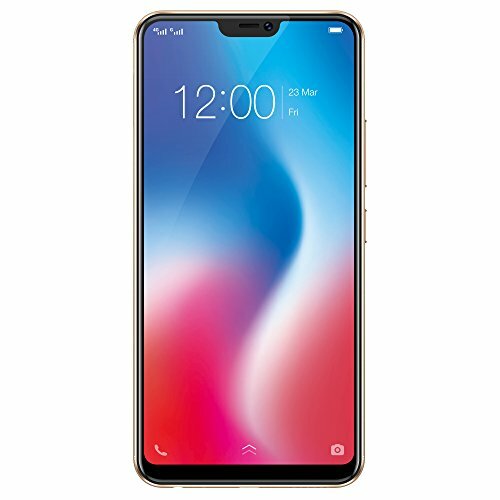 The company has already announced the V9 in Thailand and hence all the specifications of the phone are available on the official Vivo website itself. While the design may stay the same, there is a fair chance that Vivo may alter the specifications of the phone for the Indian market. Amazon India has already put up a page teasing the phone and it’s AI enabled camera. Amazon will start pre-bookings for the device starting 3PM tomorrow. The Vivo V9 has been leaked plenty of times since the beginning of the year giving us a glimpse at what the phone might feature. However, according to the official website, the phone is powered by a Qualcomm Snapdragon 626 SoC. It is an upgraded processor over the Snapdragon 625, featuring eight A53 cores. The Thailand version of the phone features 4GB RAM and 64GB storage. Storage can be extended using a microSD card to upto 256GB. We are not sure whether it will be a dedicated storage slot or not. The most intriguing part which even Vivo is teasing is the display. According to the Thailand website, the phone will feature a 6.3-inch IPS LCD display with a notch. This will take the resolution to 2280 x 1080p. The selfie focused smartphone will sport a 24MP camera at the front with a f/2.0 aperture. At the rear, the phone will have a dual camera setup, with a 16MP primary camera supported by a 5MP secondary camera. The phone is backed by a 3260 mAh battery and will be running on Android 8.1 out of the box. It is unlikely that Vivo will make any major changes to the device before selling it in India, but there is still a small chance. The phone will reportedly be priced at Rs. 25,000.